Nearly Oratorio is a one man electronic project created by Simon Lam.Five years ago he released his first EP, Shower EP and between now and then, he has been anything but idle. While his first release gained momentum, he worked with Kllo, I’lls,Jaala, Good Morning, Asdasfr Bawd, Wabz, Naysayer & Gilsun, The Ocean Party, Kins, Slum Sociable among others. Lam’s beautifully subtle and introverted interpretation of music makes it approachable by all. April of this year he released another EP, Tin, which is available on Bandcamp and iTunes now. Vinten has graced our ears with simple, supple, sensitive songs. His latest EP, What Has Been, is a gorgeous debut for Vinten. Within the EP are six tracks, each unique, intimate and beautiful in their own way. There is one standalone track on the EP, however and it happens to be Vinten’s latest single. “Creep” isn’t a celebration of love, a song of sadness or a ballad of loss. The EP’s closing track, “Creep”, is a haunting and resonant single that inhabits your heart, mind and spine in the most magnificent way. With the track comes a visual presentation that frame by frame matches the song note by note: insects crawl and creep, red-tinted waters rush, birds float and fly. The images and videos are distorted, broken and bent adding lush imagery to the dark vocals and brooding instrumentals. You can find Vinten’s latest EP, What Has Been, on Bandcamp now. He is currently working up a new EP. Vinten is the musical alias of Melbourne’s Cameron Paice. After a break from making and releasing music, Paice is back with a new EP fully adorned with five unique hard strumming dream folk tracks. The EP is titled What Has Been and can be purchased on Bandcamp. My favorite as of now is the closing track, “Creep”, which has a certain eeriness and foggy feeling to it. Paice’s ghostly voice sits atop faraway instrumentals with gentle guitar picking that builds into something more powerful and complex that toes the line of indie electronic and pop. Vinten is a solo singer/songwriter out of Melbourne. Vinten is not new to the music scene in Melbourne but he has taken a few year hiatus from writing and releasing. He’s back now with new inspirations, new sounds and new and beautiful melodies. His most recent single “You Don’t Know Me” was released last week. Canary came to be back in 2007 when Matthew Kenneally (vocals, guitars) brought together two unlikely musical partners, a trumpet player with a knack for beat-boxing and a violinist. 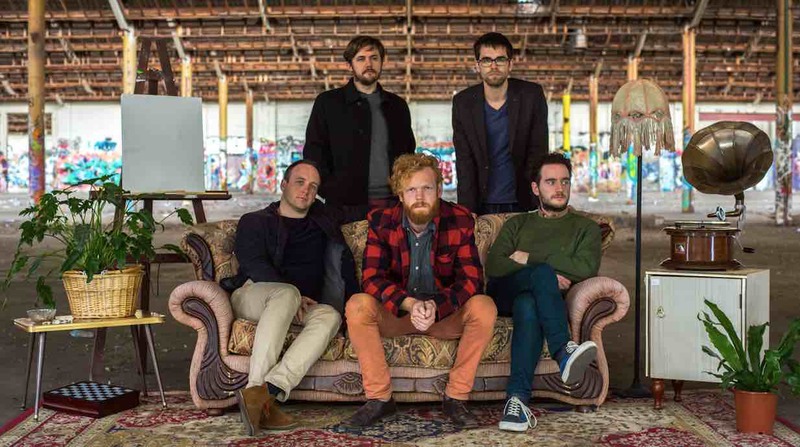 Now Canary is Matthew Kenneally (vocals, guitars), Adam Dean (guitars), Lachlan O’ Kane (drums), Isaac Barter (Bass), and Ed Fairlie (rumpet, beatboxing, percussion). Together they’ve released one full length (Dear Universe in 2011) and are working on releasing their second full length, I Am Lion, which is due out early 2016. If it’s anything like the two tracks I’ve heard from it thus far, it’s guaranteed to be absolutely killer.